Masonic astronauts are an interesting aspect of Famous Freemasons. While Freemasonry itself wasn’t the reason these brave men went into space, it could be said that it was their bonds of fraternity and brotherly love that allowed them to find the strength and building blocks to collaborate with their fellow space travelers and overcome the trials of space exploration. These intrepid rocket men, venturing where few have gone before them, are truly heroes. They are indeed, Famous Freemasons, but perhaps more famous for their adventures above the horizon. The second man to walk on the moon, Aldrin was the first Freemason to set foot upon the celestial globe. 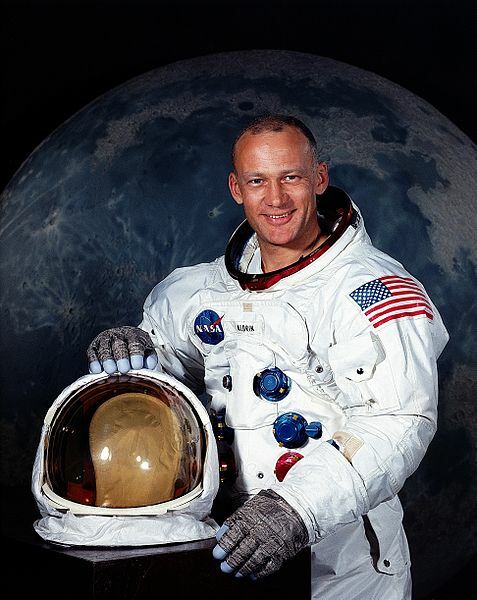 Aldrin under special deputation of the Grand Master of Texas, J. Guy Smith, was given authority to open a Representation of the Grand Lodge of Texas on the Moon and establish Masonic Territorial Jurisdiction there for the Grand Lodge of Texas. The deputation was carried to the moon by Aldrin on Apollo II on July 20, 1969. Col. Leroy Gordon “Gordo” Cooper Jr.
An American aerospace engineer, test pilot, United States Air Force pilot. 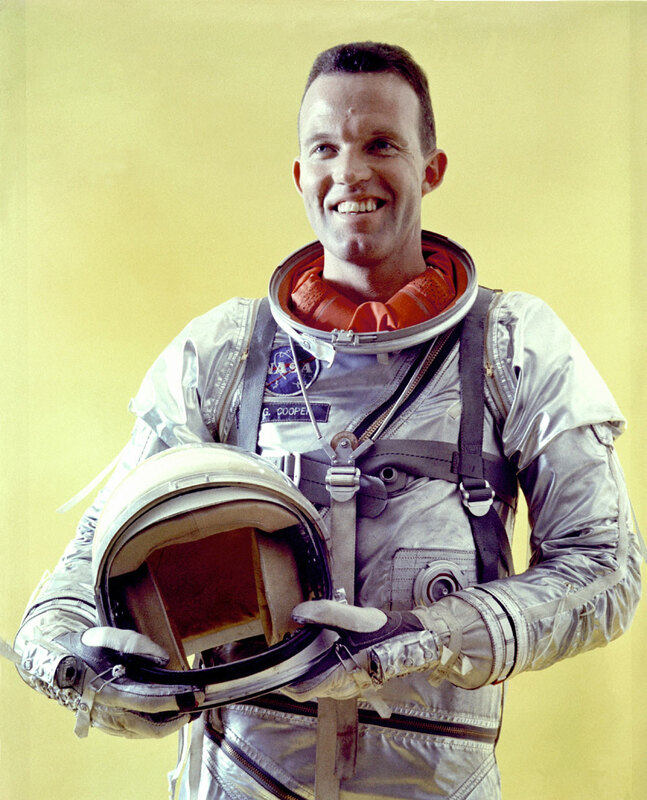 Gordon was one of the original seven astronauts in Project Mercury, the first manned space program of the United States. Honorary 33rd Degree by the Scottish Rite. Read a remembrance on Gordo Cooper. Eisele completing eleven days in Apollo 7 orbiting earth 163 times. For the Apollo 7 missions, Eisele performed simulated transposition and docking maneuvers with the upper stage of their Saturn IB launch vehicle, and acted as navigator, taking star sightings and aligning the spacecraft’s guidance and navigation platform. Eisele was a member of Luther B. Turner Lodge, No. 732 in Columbus, Ohio. 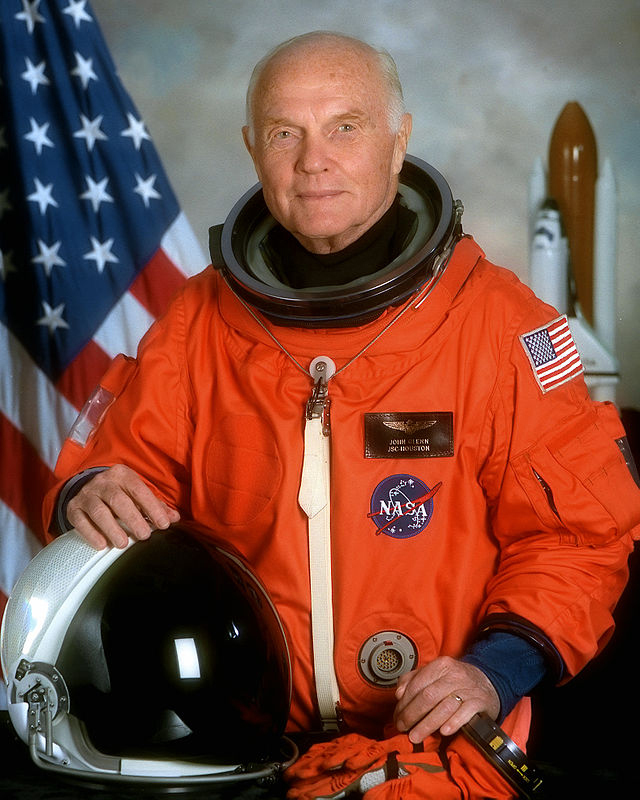 Col. John Herschel Glenn, Jr.
Glenn was the first American to orbit the Earth aboard Friendship 7 on February 20, 1962, on the Mercury-Atlas 6 mission. He circled the globe three times during a flight lasting 4 hours, 55 minutes, and 23 seconds. Glenn went on to become a U.S. Senator for Ohio in 1974 serving until 1999. In 1998, Glenn returned to space on the Space Shuttle becoming the oldest person to go into space as a Payload Specialist on Discovery’s STS-95 mission. Glenn belongs to Concord Lodge # 688 New Concord, Ohio, and DeMolay International. The first astronauts to die inside an American spacecraft. 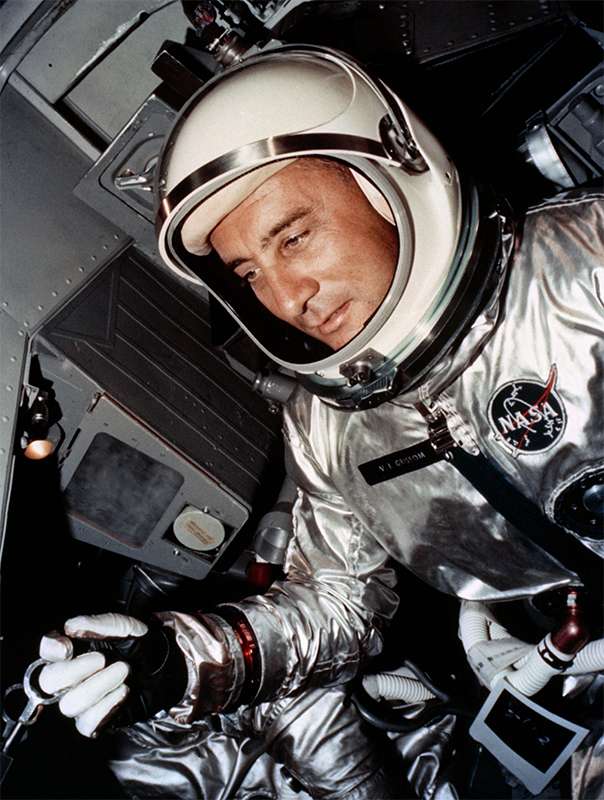 Grissom, piloting Liberty Bell 7 become the second American to go into space on July 21, 1961. That flight popularly known as Liberty Bell 7 was a sub-orbital flight that lasted 15 minutes and 37 seconds that nearly killed the vetran test pilot when explosive bolts prematurely detonated sinking the capsule. On January 27, 1967 while training for what would be the first Apollo mission (AS-204) a fire was sparked in the oxygen rich capsule which killed Grissom and his two fellow Astronauts Edward White and Roger. That mision was re-dubed Apollo I in honor of the crew. Grissom was a member of Mitchell Lodge, No. 228, Mitchell, Indiana. 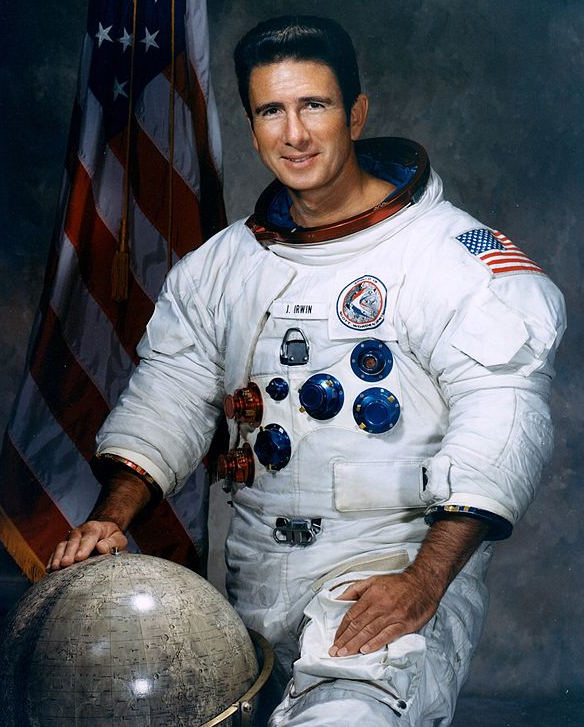 James Benson “Jim” Irwin served as Lunar Module Pilot for Apollo 15, the fourth human lunar landing. He was the eighth person to walk on the Moon. As the Apollo 15 Lunar Module Pilot Irwin logged 295 hours and 11 minutes in space and 18 hours and 35 minutes of the mission time on the Moon’s surface. Irwin’s mission to the moon made one of the most important discoveries of the Apollo era, the Genesis Rock, an anorthosite rock that formed in the early stages of the solar system – about 4 billion years ago. Irwin belonged to Tajon Lodge, No. 104, in Colorado Springs, Colorado. As the Lunar Module Pilot of Apollo 14, Mitchell spent nine hours working on the lunar surface in the Fra Mauro Highlands collecting almost 100 pounds of lunar samples. 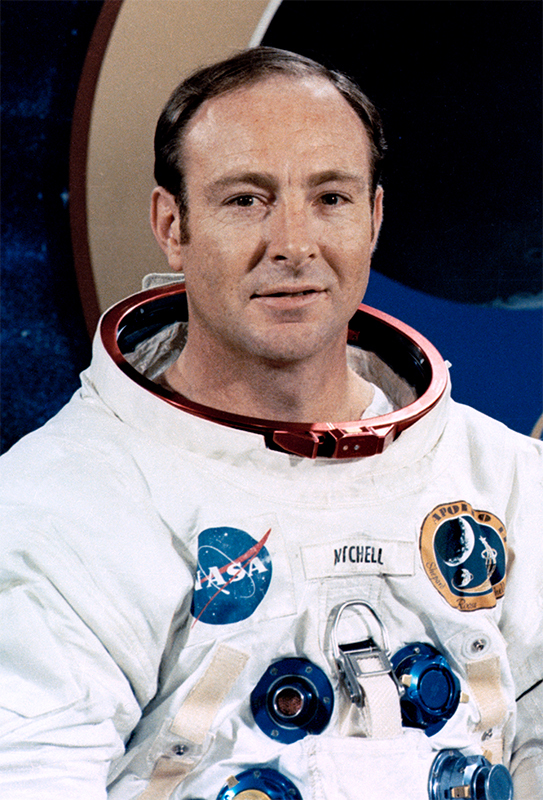 Mitchell’s mission was notable as it was the first use of Mobile Equipment Transporter (MET); largest payload placed in lunar orbit; longest distance traversed on foot on the lunar surface; largest payload returned from the lunar surface; longest lunar surface stay time (33 hours); longest lunar surface EVA (9 hours and 23 minutes); first use of shortened lunar orbit rendezvous techniques; first use of color TV with new vidicon tube; and first extensive orbital science period conducted during CSM solo operations. Notable, Mitchell took the iconic photograph of Al Shepard raising the American flag on the lunar surface with Mitchell’s shadow in the frame. Mitchell is a member of Artesia Lodge, No. 28, Artesia, New Mexico. Capt. 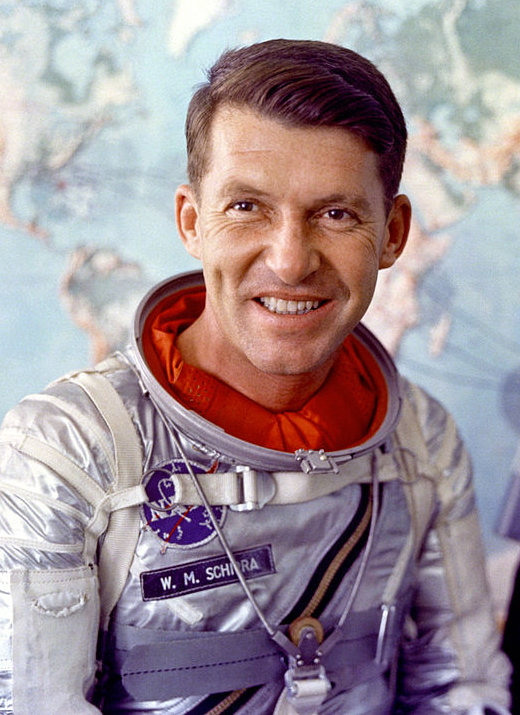 Walter Marty “Wally” Schirra, Jr.
One of the original seven astronauts chosen for Project Mercury, Schirra flew the six-orbit, nine-hour Mercury-Atlas 8 mission on October 3, 1962, becoming the fifth American, and the ninth human, into space. In the two-man Gemini program, Schirra achieved the first space rendezvous in 1965. In 1968, Schirra commanded Apollo 7 on an 11-day low Earth orbit to test the three-man Apollo Command/Service Module. Schirra was the first person to go into space three times, and the only person to have flown in Mercury, Gemini, and Apollo, logging a total of 295 hours and 15 minutes in space. Schirra belonged to Canaveral Lodge, No. 339, in Cocoa Beach, Florida. 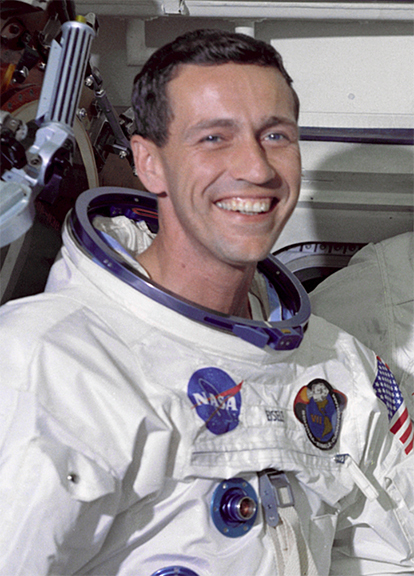 Stafford flew aboard two Gemini space flights; and in 1969 was the Commander of Apollo 10, the second manned mission to orbit the Moon and the first to fly a Lunar Module there. 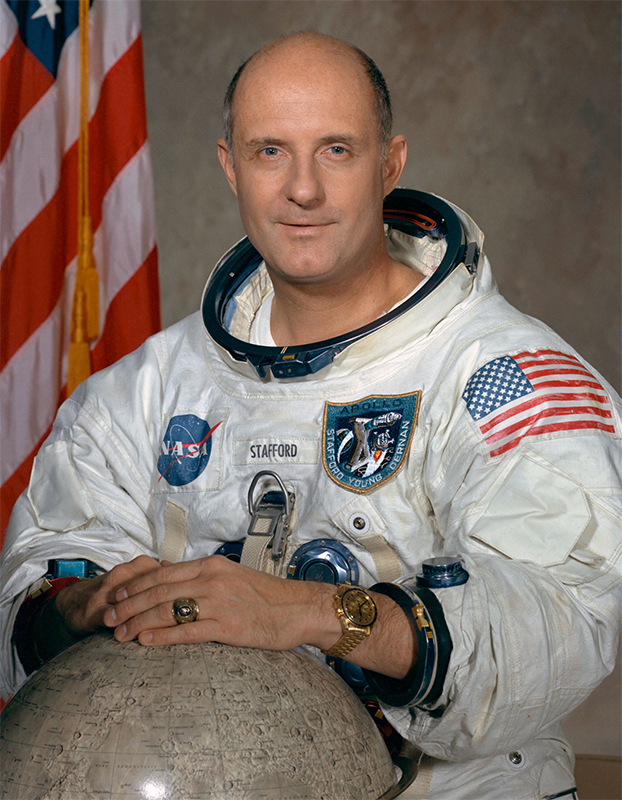 In 1975, Stafford served as the Commander of the Apollo-Soyuz Test Project flight, which was the first joint U.S. – Soviet space mission. He became the first Brigadier General to fly in space. In his career, Stafford made six rendezvous in space logging in total 507 hours of space flight and until the launch of STS-94 in 1997, Stafford held the record for the briefest duration between spaceflights, at 5 months 19 days. Stafford belongs to Western Star Lodge, No. 138, Weatherford, Oklahoma. Weitz flew into space twice. 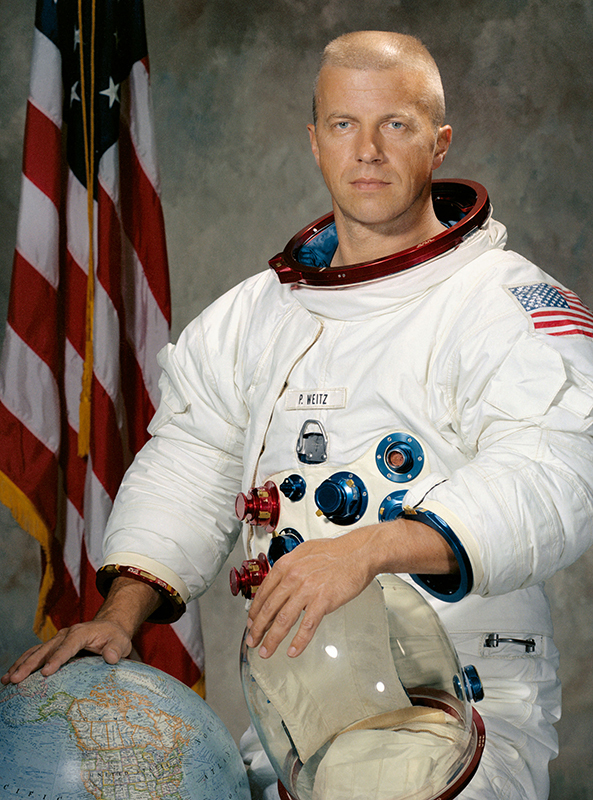 First as a member of the three-man crew who flew on Skylab 2, the first manned Skylab mission. He was also commander of the STS-6 mission, the first of the Space Shuttle Challenger flights. Weitz served as the pilot on the Skylab 2 (SL-2) mission, launched on May 25 and splashing down on June 22, 1973. On this mission, Weitz and his fellow astronauts performed extensive repairs to seriously damaged Skylab logging 672 hours and 49 minutes aboard the orbital workshop. Weitz went on to serve as the commander of the the STS-6 which was the maiden journey of space shuttle orbiter Challenger. The Challenger mission brought Weitz’s total space time to 793 hours. Weitz is a member of Lawrence Lodge, No. 708, in Erie, Pennsylvania. Missing one? Leave us a note in the comments and we’ll investigate. How about (the astronaut) Neil Armstrong?? Apparently Frank Borman was in DeMolay; did he not petition a Masonic Lodge? Only freemasons have claimed to walk on the moon. I say again, all 12 people who lied about walking on the moon were/are free masons. They should teach children this fact as teaching kids the contrary is child abuse. NASA workers have even admitted to not even having the technology to get into space lol it’s a big Hollywood movie were in.